Holkham Estate Wells Beach 74A Children play in the sand at Wells Beach near Wells-next-the-Sea, Norfolk, UK. Wells is such a lovely weekend place to visit! Credit@Holkham Estate Wells. 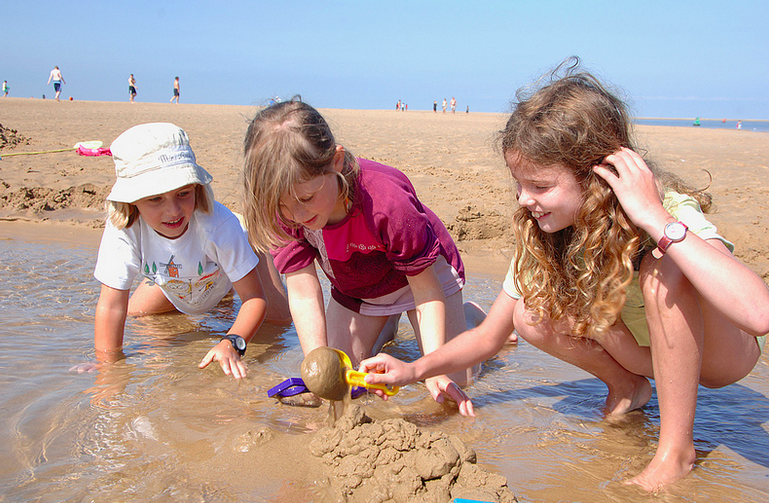 Children play in the sand at Wells Beach near Wells-next-the-Sea, Norfolk, UK.